Get ready for the wildest Top-Down Arena Brawler you’ve ever experienced. Navigate deadly arenas and battle it out against your enemies using over-the-top ability combos. Through a unique ability system, players can change and augment any character’s set of abilities to play exactly how they want to play. 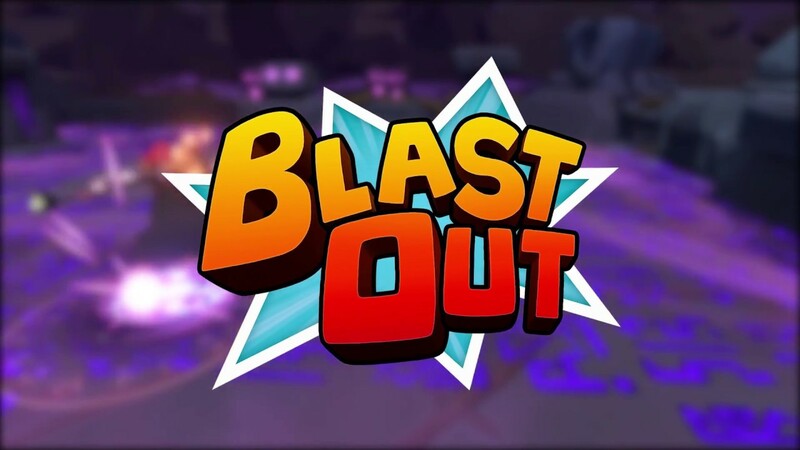 Before you show off your amazing skills in the arena, you need to learn how to utilize Blast Out’s unique ability system. Players can modify any character’s set of abilities to play exactly how they want. The abilities in Blast Out are all about combos, so mastering the synergy between different abilities and their situational usefulness is the key to being unstoppable. The arenas in Blast Out can be just as deadly as your opponents. The environment is filled with traps and hazards that will catch you by surprise if you lose focus for even a moment. Always be aware of your surroundings and use the arena to your advantage when engaging the enemy. The core ingredient that makes the combat in Blast Out a blast, is the Knockback mechanic. Most abilities in Blast Out will send your opponents flying, preferably into that sea of lava that just appeared. The Knockback serves as a tool to quickly eliminate your foes and is vital to both utilize and avoid. With over 200+ gear combinations, giving you control over your playstyle. With unique traits giving full control over your playstyle. Earn your gear and weapons by playing. Subscribe to our Newsletter for the latest news on Blast Out! Copyright © 2017, Tarhead Studio AB, Tarhead Studio AB logo, Blast Out, the Blast Out logo are trademarks or registered trademarks of Tarhead Studio AB in Europe and elsewhere. All rights reserved.